Reviews of Dr. Barry Lieberman, D.C. This is best doctor I have ever seen! He is a very pleasant Dr., and patient, and attentive. Helped me a lot. Basically, when I came here I was suffering with severe tiredness and fatigue, and depression, and seemed to be gaining weight for no reason for over a year. Just in the past month since I've been coming here I've lost about 7 pounds, and I'm not tired anymore. I'm sleeping more reasonable hours. It's easier to get out of bed in the morning, and I can't remember the last time I felt depressed! I knew my body wasn't operating at its fullest potential. I was always tired, lacked energy, felt sluggish in my brain, always seemed to have an upset stomach, and just felt "off." I feel fantastic!, It's kind of like an "I feel good" high! I have so much more energy and feel in tune with my body. My brain feels more clear and after staying away from the foods Dr. Lieberman identified that I was sensitive towards, my stomach feels so much better... it's been years since it's felt this good! My life has been changed! About 1 1/2 years ago I started getting red, dry, itchy patches on my skin. It affected mostly my hands and neck area. As time went on, my condition worsened and spread. My skin was red swollen, itchy, cracked, and burning. The condition spread to my arms, shoulders, face, ears and scalp. I went to several doctors until one diagnosed me with severe psoriasis. I was told that the condition would never go away and the only thing I could do to alleviate the condition was use steroid creams. After going through Dr. Barry Lieberman's program for a little over 2 months, my skin has improved dramatically. My skin is almost back to completely normal. The psoriasis that I was plagued with is gone. My hands look normal again and I no longer have to hide my ears, neck, and arms. I also feel healthier in general. I was told my condition would never go away, but it has, and I'm so thankful. I was feeling very low energetically, fogged-down and groggy. I was very easily startled and it would take forever for my system to relax. Very anxious. Felt very weak. I have extreme amounts of energy. I'm calm, cool, collected. Feel very grounded and secure, and back into balance. My body feels strong. Before I came in to see Dr. Lieberman I felt like my health was going into a downward spiral. I had a seizure and the medical dr's wanted to put me on anti seizure meds without really knowing what was wrong, and they couldn't give me any clear answers. I was looking for an alternative way to manage my health when I found Dr. Lieberman. Now I feel like my health is going on an upward spiral. I'm seizure free without the use of meds. I have been more physically active with more energy. I definitely feel like my treatments with Dr. Lieberman have positively affected my health and life. I have some great news… I have been playing Tennis again and the reason I can is because I have NO hip pain anymore when I play. I [had] stopped doing this (and I LOVE to play) because my hip would bother me for days after I played, & I had decided it was not worth it. Not only that, but I have been riding my bike (just short rides) and again no hip pain. I must say I feel sooooo much better than I did a year ago! So I believe this little journey I have been on -with the Dr Barry program- has worked! Thank you. When I came to Dr. Lieberman I had constant post nasal drip, low energy, bad skin, & overall just didn't feel right. I knew that I had a weak immune system, and I had already started taking enzymes and probiotics to help my stomach cramps and digestive issues. I feel great! So different & I have so much energy! It really was a "whole" treatment. We went beyond some of the things I was already doing & got to the root. Going through it, I felt like 4 months was forever, but now, on the other side, I am amazed it didn't take years! My post nasal drip is gone, skin 100% better (acne & rosacea), I can feel that my immune system is strengthening, I can eat things that used to give me issues like carbs, sugar, dairy, wine – in moderation of course! Since I was diagnosed [by another doctor] with an over-active thyroid, I have had constant skin rashes and face and back acne. I was tired all the time and had to take frequent naps during the day. I was also quite moody and went through some depression. During my second week of treatment with Dr. Lieberman, my energy was restored and my back and face began to clear-up almost overnight. I no longer have the need to take naps during the day and find I am able to concentrate for longer periods of time. Further, I no longer have severe mood swings and have found myself to be quite calm. I wish I would have known about Dr. Lieberman years ago! I had many symptoms of what I thought was approaching “middle-age.” I had gained weight, had muscle and joint pains that were chronic and annoying, felt tired and just "blah" the majority of the time, and had low energy levels. When I was younger I used to be able to work two jobs—one as a dance teacher from 3:00 – 9:30 PM, then I worked as a waitress on the graveyard shift from 11pm- 7am and didn’t have difficulty with it. Before I came to Dr. Lieberman I couldn’t imagine ever being able to do that again, and again assumed it was just age. When I came to Dr. Lieberman I had a bad pain under my right shoulder blade, pain in my left ankle and my left hip. I was unable to do a left split because of the pain. With no adjustment and only nutritional supplements, the pain in my right shoulder blade completely went away in one week. The left ankle pain took 3 weeks, and a month and a half later the hip had no soreness. Now, 2.5 months after starting a program with Dr. Lieberman. I have none of the muscle and joint pain, I have lost 13 lbs. due to his help with my digestive tract, and I feel good again for the first time in 4 years. 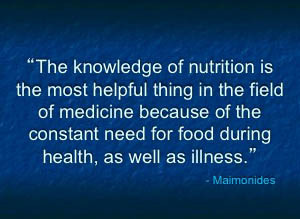 I think it is a tragedy that so many people are unaware that things we believe we can do nothing about are actually things that nutrition and proper care of our bodies can totally remedy. Thank you Dr. Lieberman! “My blood pressure was always high to very high. In addition, my energy level was very low. I also had pain in my knees upon bending down or squatting. After only a month of treatment with Dr. Lieberman, my blood pressure is now normal. Also, my energy level is highly improved, and I don't have pain in my legs and knees anymore." I had serious back pain because of scoliosis. I had to swim every few days to get rid of the pain. If I didn't swim, it would be very, very painful and I have had this for most of my life. Dr. Lieberman has given me adjustments and my back doesn't hurt at all. I have not been swimming regularly in over a month and I have no pain at all! I am amazed and really happy. I have never had this experience of having no back pain before and my back feels great all the time. I am very happy. Read More Reviews about Dr. Barry Lieberman, D.C.
©2007 - 2019 Barry J. Lieberman, D.C.